Acupuncture, a Chinese traditional medicine method that improves the overall state of the patient’s mind and brings benefits to her health, involves inserting very thin needles in various parts of the body to improve circulation and restore the energy flow along the acupuncture meridians. Acupuncture treats a wide range of medical conditions, including high blood pressure. With age, people get high blood pressure because the blood thickens and the arteries grow more rigid. Many factors contribute to high blood pressure, such as lack of physical exercise, poor diet, smoking, pollution, obesity, etc. Acupuncture can help with both hypertension and hypotension (low blood pressure) to help restore a normal level of blood pressure. Go to your doctor, hospital or drug store and ask the medical staff to take your blood pressure. This simple procedure shouldn’t take more than a few minutes. Establish your level of blood pressure. 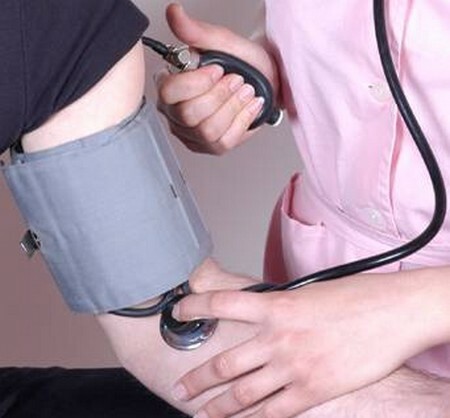 Understand that blood pressure levels change from day to day. If you’re tired or haven’t been eating well, your blood pressure could be low—but that’s not necessarily a sign of a problem. Check your blood pressure from time to time to see if you have high or low blood pressure. Look for a qualified acupuncturist in your area. You can use many avenues to find a good acupuncturist. Start by asking your friends and coworkers if they know an acupuncturist they trust. You can also ask your doctor for a recommendation, or you can visit the Acufinder website for a customized search at http://www.acufinder.com/. Discuss with your acupuncturist your blood pressure problem and describe your lifestyle in detail. Tell the acupuncturist about your diet, sleeping habits, stressful situations you face every day, and so on. The acupuncturist will check your pulse and blood pressure. Ask your acupuncturist if electroacupuncture would prove beneficial for your issue. Electroacupuncture involves applying electric stimulation to the needles inserted in various parts of your body. The method proves very efficient for lowering blood pressure. Establish a treatment plan with your acupuncturist. Ask how many sessions you have to undergo and check to see if your insurance plan covers the treatment. Your acupuncturist might suggest other natural ways of keeping your blood pressure under control. Taking Chinese herbs and other supplements could make your acupuncture treatment more effective. Acupuncture will put you in a state of calmness and relaxation. If stress causes your high blood pressure, you will get results after the first acupuncture sessions. Relax during the acupuncture session, a painless procedure. Take deep breaths and even fall asleep if you feel like it. Acupuncture releases serotonin and endorphins, hormones that will put your body and mind in a very peaceful state. Live a healthy life. Eat a lot of fruit and vegetable, exercise, and keep stress levels under control.